Ma Yoga Prenatal Yoga Beverly Hills - and Mom + Baby yoga too! Welcome to the Ma Yoga Beverly Hills Location Page! Scroll down for our Class Schedule, contact info, parking instructions, recommended caregivers in the area, and instructions for booking your first FREE class. Don’t worry, we never charge for booking, only attending. We do appreciate an email if you can’t make it – just email Rachelle at rachellel@me.com or Linda at simchayoga@gmail.com. Welcome to Ma Yoga Beverly Hills – Music Together! Come join other Moms and Moms-to-be for these Prenatal Yoga & Mom + Baby yoga classes incorporating therapeutic alignment principles to safely create space in your body, in your mind and muscles, and in your heart for your Self and your baby. If you’re pregnant – come make space for baby while making some new mom-to-be friends! Our yoga is alignment-based so it’s safe for every trimester, and will help you relieve aches and pains, stay strong and prepare for labor. Come enjoy our neighborhood community! 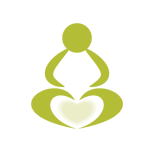 I love to create a safe place to empty your basket and empower and share with each other about pregnancy, motherhood, your body and your labor.Whether you’re a first time yogi or a yoga teacher, you will find your deeper truth along the way, and your connection to inner support as well as outer support.Using Ma Yoga’s tools you can feel great throughout your journey. As a pre and post natal doula and a prenatal yoga teacher, I am compassionate about wherever you’re at any time throughout your day! We tailor our classes to the needs of each student, and each student receives individualized attention. We have created a sanctuary where you will be encouraged to play, practice, and learn from each other. Our community is growing and students have returned to join us as they prepare to have their second babies.Questions about this class? I would love to hear from you! 323-841-1838, rachellel@me.com . I’m a native of Los Angeles, mother of two, and more recently, a yogi. 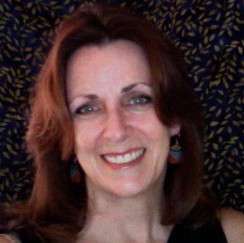 I joined the Anusara community in 2000, began teaching yoga in 2004, prenatal yoga in 2007. I draw on experiences, family, my students, and the natural world for inspiration to find parallels between ancient yoga teachings and contemporary life. I am especially thankful to be teaching prenatal yoga where, with my students, we find infinite ways to joyfully celebrate new beginnings Questions about this class? I would love to hear from you! simchayoga@gmail.com. Directions and Parking for Ma Yoga Beverly Hills – Music Together – 8580 Wilshire Blvd. 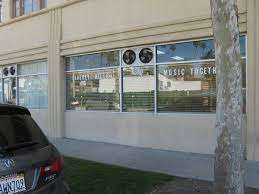 Ma Yoga Beverly Hills – Music Together is adjacent to the Ruby Room Restaurant. It’s in a little strip mall in the back corner. Metered parking is available on Stanley during the day on the South side of Wilshire, and is free after 6PM. One hour free parking is available on Charleville. Music Together’s goal to nurture your child’s natural enthusiasm for music. They sing, dance, chant and play instruments in an informal setting enriching their experiences and guiding them towards a lifetime of musical enjoyment. Children participate at their own level. There is no performance pressure. Children are not required to sit still; rather, they are encouraged to respond spontaneously to the musical environment. For more info about Beverly Hills Music Together, please check out their website – www.BeverlyHillsMusicTogether.com. Had a really nice session with Linda – she gave me tips that will change my practice forever and she honestly loves yoga and seems to want to genuinely and generously help her students. Rachelle is an INCREDIBLE instructor! I would not have gotten through my pregnancy without her. I started Rachelle’s prenatal yoga class from when I was 16 weeks pregnant (and am now almost 40 weeks! ), and have loved every class. There is so much valuable information shared during class about pregnancy and the birthing journey, along with of course, prenatal yoga exercises.Rachelle, who is also a doula and postpartum doula, is wonderfully knowledgeable and incredibly passionate about helping mothers and babies. Her class has been a peaceful sanctuary in my hectic schedule, and I always look forward to her yoga classes. I can’t recommend Ma Yoga and Rachelle enough for expecting mothers! I had a wonderful experience with Rachelle during my pregnancy. 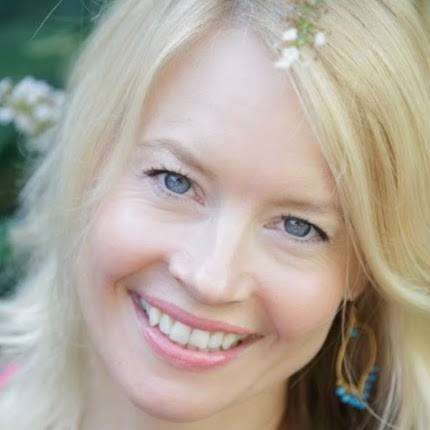 She is extremely knowledgable about prenatal yoga and goes above and beyond to make sure you get the answers you are looking for during this precious time. She is also very hands on, corrects your poses if she sees you’re out of alignment which I really appreciated. I would talk to her about all types of prenatal care and she would give great advice or resources. I would highly recommend her class! I am so grateful for the service provided at Ma Yoga. Last night’s class helped soothe my nerves and bring me back to center. The intimacy of the group and the like-mindedness of the other pregnant moms left me feeling cleansed and cared for. Plus, when you’re pregnant, you wonder if all your non-preg friends can really stand to hear more about your pregnant woes and changes, but here, all were completely supportive and understanding, because they’re all in it with you. Thanks Ma Yoga for your services to pregnant moms. I’ll be spending the rest of my pregnancy (and beyond) with you! Yesterday afternoon, I needed a large glass of wine. Being that I’m 5 months pregnant, I opted for a google session on prenatal yoga classes instead and what I found was just the bottle I’d been looking for. I am so grateful for the service provided at Ma Yoga. Last night’s class helped soothe my nerves and bring me back to center. The intimacy of the group and the like-mindedness of the other pregnant moms left me feeling cleansed and cared for. Plus, when you’re pregnant, you wonder if all your non-preg friends can really stand to hear more about your pregnant woes and changes, but here, all were completely supportive and understanding, because they’re all in it with you. Rachelle, the instructor, was not only fantastic, she was kind, compassionate and informative about all things birth related. She spoke so highly of one of her clients who’d just encountered an 80 hour labor, she even shared pictures of the baby with the class. She’s good instructor, counselor and person, and the location made me feel like I was on a set, it was so calming and lovely. Thanks Ma Yoga for your services to pregnant moms. I’ll be spending the rest of my pregnancy (and beyond) with you! I’ve been going here since my 2nd trimester and love it. It’s an intimate studio in someone’s backyard which is really nice and unique. I really like Rachelle’s class because I find that the exercises she focuses on are really helpful for pregnancy and for labor prep, plus she’s really attentive to different people’s bodies and their varying needs based on belly size and stage of pregnancy. It’s also cool because she’s a doula so her insights to birthing and labor have been really valuable. Sarika is also great. Her class is a bit more partner work so you have to feel comfortable with that. I’ve been so happy with these classes, they’ve really helped me a lot! For our Yelp page – please add your own reviews if you enjoy class! – click here..